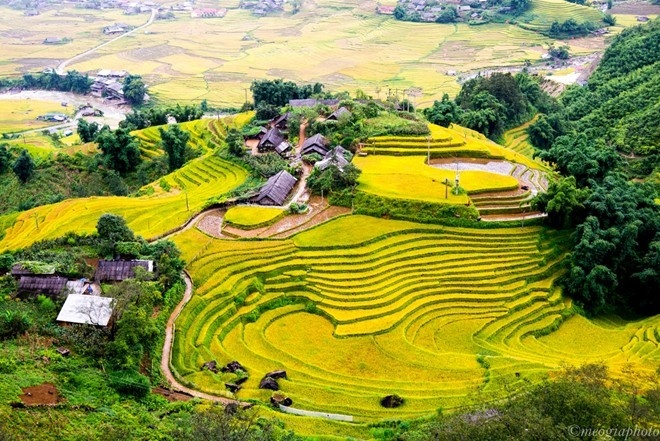 VietNamNet Bridge - When autumn comes and the weather is cool, with light winds, it is the time to see terraced fields covered with ripening yellow rice in northern Vietnam. Here are some places to admire the special beauty of rice fields in the fall. 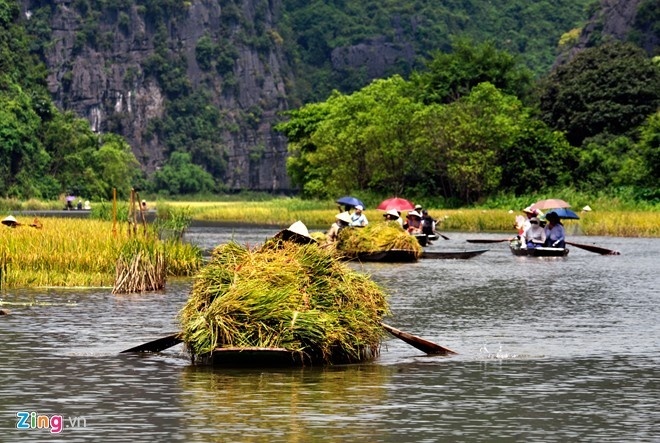 Tam Coc (Ninh Binh) is part of Trang An tourist complex, a world heritage site. With a network of caves, karst mountains, and beautiful rice fields, this place is called a Ha Long Bay on land. 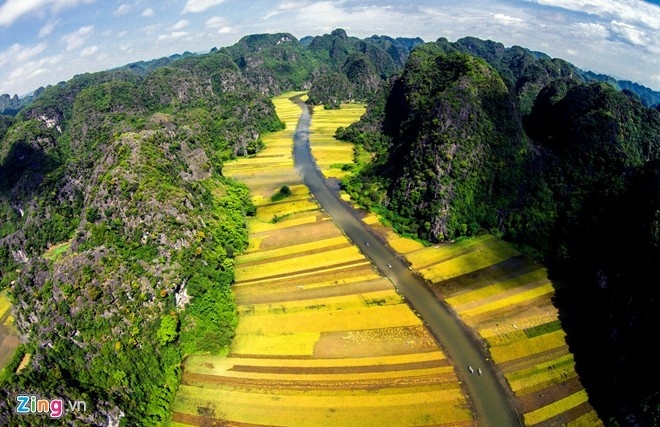 Coming To Tam Coc during the harvest season, you'll see stunning pictures of rice fields with different pieces of color, from yellow to green. 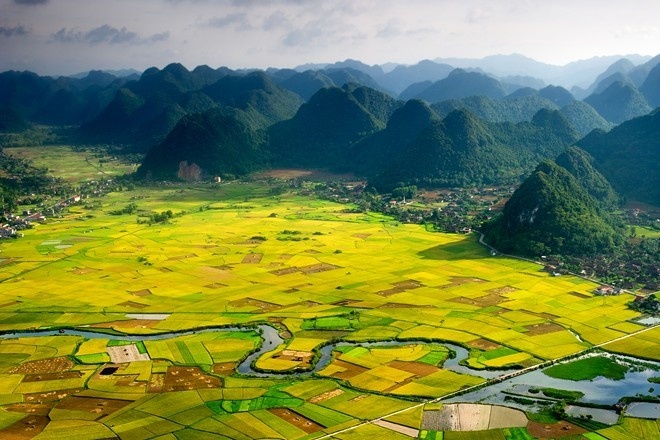 Bac Son (Lang Son) is situated about 160 km from Hanoi. The first impression when you set foot on this land is the fresh air and wild beauty of rocky mountains. 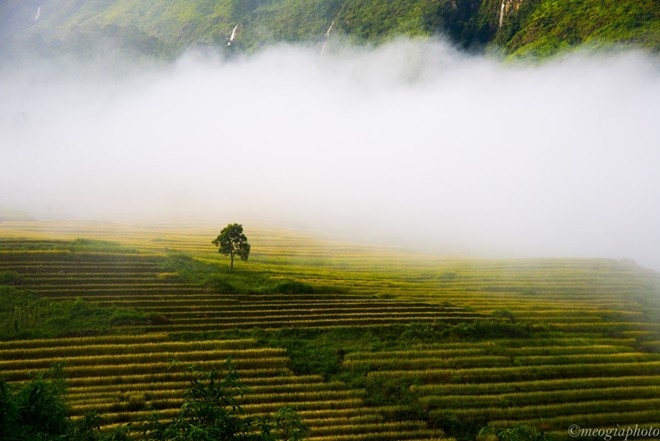 The Bac Son valley looks romantic, particularly in the early morning. Rice fields are not planted at the same time, so you will see both ripening and green rice fields in the valley. 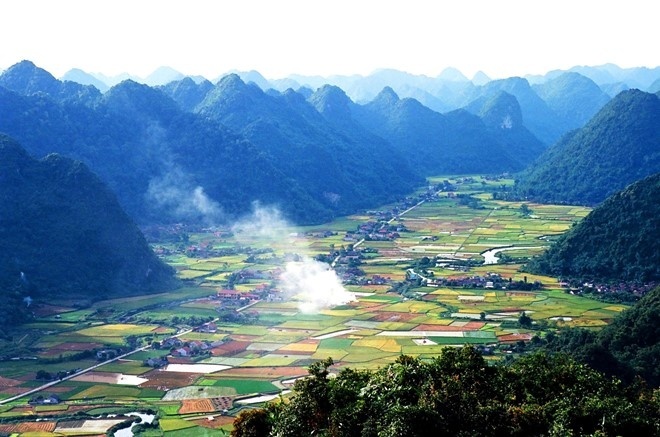 Ha Giang host many beautiful terrace fields. 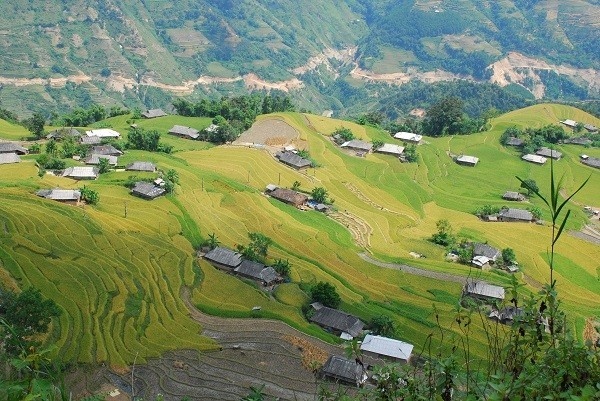 Every September travelers and photographers flock to Ha Giang to take pictures of ripening rice fields. 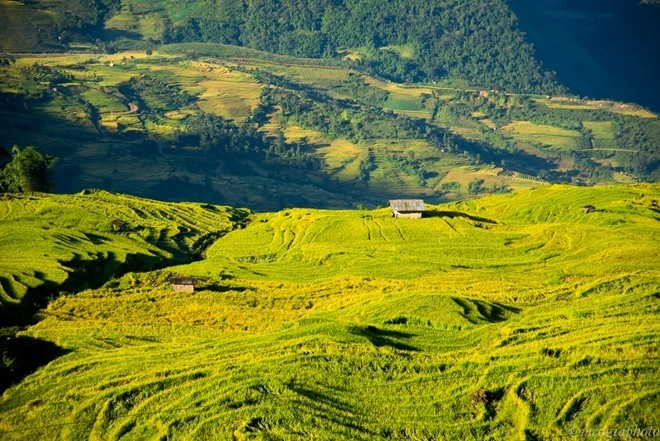 Every year, from late August to early September, visitors come to Sapa (Lao Cai) to travel and admire the terraced fields. 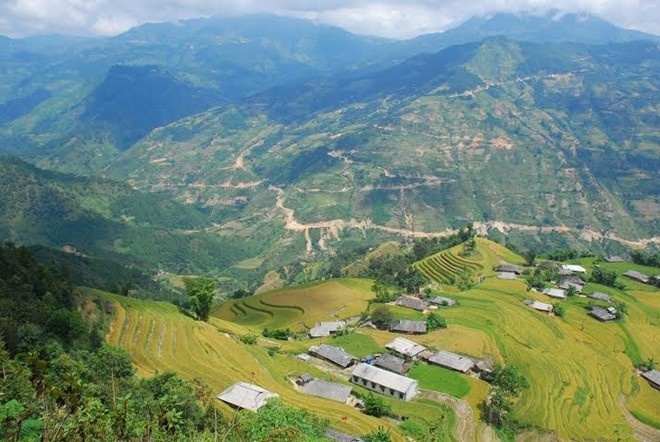 Y Ty (Lao Cai) gives you a completely different feeling from other places. You will see many terrace fields scattered at the foot of the mountain, with all forms and different colors. You can also see seas of clouds on the field.